Ouch. Just writing this title pains me on a visceral level. For me, these are the hardest times - when one of the kids is mad that they are at my house and/or they want to be with their dad. Nowadays, it happens during a transition between our two houses. Typically, it starts off with something relatively minor – someone wants to finish a puzzle they’ve started or they are having fun and don’t want to finish up a game to go to my house or the other way around. When a child of mine is crying that they don't want to be at my house or they just want their dad. It nearly destroys me. It drowns me in my guilt about a marriage that’s over, that their dad and I have permanently failed our children. And then doubles down, with a ton of anxiety for the future happiness of my children. Cause sometimes in my mind, everything hinges on this one failure of ours: the splitting up of our family. For the most part, my children’s dad and I have the same child sharing routine that we’ve had since we initially separated. So, generally the kids know the routine and are happy with it. No one misses another too much. Simply put: it works for us. Lately though, I have noticed that our son, who’s 6 years old, becomes very upset when we do re-arrange the child sharing routine due to out of town guests or work commitments or whatever else comes up in life. And the other day was no different for him. Although, thankfully, it was different for me. I was somehow able to keep it less personal. His feelings were his and it wasn't all sitting directly on my shoulders. And so instead of becoming frustrated, or short with him, or even angry. I acknowledged his feelings and we started talked about how much fun he has when he's at Daddy’s house, and I reminded him that he can always bring over something fun he’s working on to my house. We talked about fun things that he could do at my house. I also rubbed his back and held him closely while we talked, so that he’d feel my love for him. I gave him time to move through his feelings, and didn't push against them or worse - deny them. It seemed to have the effect I was hoping it would – he began to calm down and he seemed to regain his a sense of peace. Thankfully, it re-set him. He let it go. His attitude improved and we all went on with the day. And it was a lovely day, full of connection and good times. Boy oh boy, transitions are hard for all of us, even the 6 year olds in the crowd! 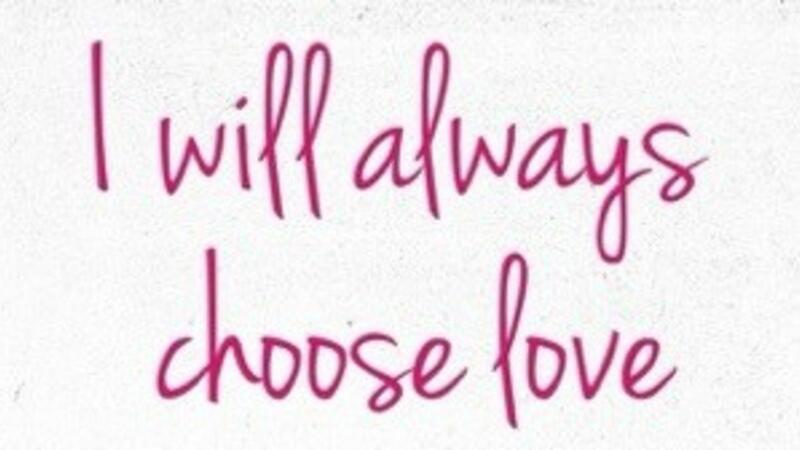 :) But I remembered an important lesson that day: when in doubt, choose love. Now I'd love to hear from you. How do you handle these raw emotional times with your children? It's so hard to see them upset!